Therefore, planetary bodies do emit sound. However, you cannot hear them because the sounds are 20 - 40 octaves below human hearing. The fact that a planet is moving through space - how does this translate into "it emits sound"? How is it 'emitting' sound? And additionally, the fact that a planet is revolving around the sun, what makes this the marker for frequency measurement of the sound that a planet is supposedly emitting? And additionally, if all of this is true - which I'm not convinced it is - but if it is, how do we account for the fact that sun is also moving through space with the planets following along, thus creating a Doppler Effect of sorts on the planetary sounds? Every planet in the solar system has harmonic properties with its neighbors and with itself. Any two objects, energies or ideas in proximity to each other have a relationship, yes, no argument there - but is the relationship necessarily "harmonic"? How does one define harmonic in this context, since the measureable relationships between planets are not necessarily harmonic in regard to how we define harmonics in terms of perceivable sound? The oscillation of the planet is like a string humming through space. The mass of the planet moving at its speed and periodicity is its ability to emit sound. Perhaps emitting is not the correct term for this physical phenomena? The frequency ratio of Venus and Earth is very near to Phi. Mars and Earth are a Major 7th apart. Saturn and Jupiter form a Major 10th interval. The Asteroid Belt is stratified by harmonic ratios of Jupiter's orbital period. Those are the easy ones to point out. But deeper study is rewarded. As I read what you write, all of the ideas, examples and analogies are distinctly based on and dependent on human perception. You have the belief that you can understand the cosmos from a limited human point of view. As tempting as it may seem, those correlations are in your mind and don't translate to a planetary scale. In other words, you can't universalize your experience and say "this is how the universe works." That's a kind of spiritual delusion. My point is not that chaos reigns. It is that human perspective is incomplete and flawed because human perception is limited. You think planets make sound because you have ears and you like sound. That's like saying the moon is made of cheese because you're hungry. The oscillation of the planet is like a string humming through space. The mass of the planet moving at its speed and periodicity is its ability to emit sound. Perhaps emitting is not the correct term for this physical phenomena? The frequency ratio of Venus and Earth is very near to Phi. Mars and Earth are a Major 7th apart. Saturn and Jupiter form a Major 10th interval. The Asteroid Belt is stratified by harmonic ratios of Jupiter's orbital period. Those are the easy ones to point out. But deeper study is rewarded. If we're going to go with "very near" and "almost" then we can find numbers that "work" for us wherever we look. You could go down to your nearest shopping mall and take enough measurements and I bet you $12 you'll find all sorts of cosmic near alignments. But as Joseph says, it's all really missing the real mystery, the real magic of sound. If we apply the Phi Ratio directly to the Earth 'frequency' we get almost exactly 440Hz - and it's significantly closer than the near miss of Earth/Venus. The base lengths of the Great Pyramid are exactly 440 cubits. I'd say between those two one could make a better case for A440 being the 'true cosmic vibration' than the A432 nonsense. And I'd say Earth to Mars is really more of a minor 2nd than a Major 7th. I'd put Earth as the tonic and relate to that if I were going to do it, not the other way around. Regardless, it's the most dissonant interval in the chromatic scale. And it means what exactly in terms of planet movements? And is the oscillation of the planet really like a string humming through space? I question that and I say, why? How? Not so! It's really just meaningless to equate this all to sound. Also, you mentioned 'as above, so below' earlier. well, that's good and works sometimes, but it's not an absolute universal phenomena by any means... even within what we 'know' with the current state of science, or the current state of any comprehensive knowledge. I think it's more like my body has opiate receptors, therefore its cool to smoke heroin. C'mon dudes, I feel like this forum is some kind of twilight zone where I come to have ideas die. No one here wants to explore the vibratory cosmos because their perception is too limited? Have you ever tried getting outside of your limited human perception? Is anything truly outside of "human perception"? It's like being in your home, but not really believing it is your home because you listen to Talking Heads and you aren't sure if this is really your beautiful house and wife anymore. Or it's like saying you can't beat the Yankees because you're the Angels. But the game hasn't even started yet. Anyhow, if I went beyond Human Perception would you believe that I had? How would you know if I was lying or telling the truth? Perhaps the oscillations of the planets are beyond the scope of normal human perception and are therefore outside of our ability to understand. But that's also like saying we shouldn't try to understand molecular or atomic structures. It's just the other direction of center. If you really do feel like the solar mechanism couldn't possibly have any harmonic relationships within it that pertain to life on Earth that's totally cool. I couldn't agree less. I know this doesn't have much to do with 432 anyway. Absolutely NONE of the planetary bodies oscillate at that pitch anyhow! The point was that C# 136.1 Hz (which is 32 octaves above the actual frequency of Earth's year 0.00000003168876 Hz) could theoretically be the C# of A=432Hz depending on the temperament. I am not trying to defend 432 as some sort of perfect center frequency. It isn't. My point was that there is a small possibility that 432 is useful for those who play on equal tempered instruments and who want to play in tune with the frequency of the Earth's year. But this is just one of many center frequencies that are valuable if we are considering cosmic tuning pitches. So to me 432 is a usable center frequency, but not neccesarily the "end-all be-all" concert pitch. Especially since most tuners probably get you closer to 136.1 if you use 431 instead. So yeah, I am going to start the 431 movement like now dudes! Sorry to derail this thread with the cosmic tuning argument, it just seemed relevant to bring it up. I guess not. It's a Major 7th because Mars is slower than Earth and therefore the lower pitch in the interval. It is dissonant for sure. But accurate for the purposes of building a Major 7th chord. If we do flip it and make the minor 2nd, they are approximately 8Hz apart and this is a pretty useful frequency for sound meditation and entrainment. Does it matter if we use 136 - 144 or 108 - 116 to create that beating frequency? Yes! Do the math on Pluto and Neptune. It's pretty close to a perfect 5th. Start bringing the tones into the same octave (similar to the gongs) and the ratio of the sidereal period of the moon to the year of the Earth is pretty close to a Major 6th. Anyhow, I know I'm not going to change your minds on the subject today, and you aren't changing mine. It's all good. I still value your perspective and will always consider it when I write. Thanks for your time and thoughtfulness! "No one here wants to explore the vibratory cosmos because their perception is too limited? Have you ever tried getting outside of your limited human perception?" ~ If that is really where you think we are at (well, I can only speak for myself), then that pretty much precludes any discussion, doesn't it? I'll grant that you probably didn't quite mean it too definitively. Speaking for myself, this whole idea of planetary frequencies and them having any real meaning as such is an imaginary concept that takes me away from the real magic and mystery of sound. To me it's a proverbial red herring. Is anything truly outside of "human perception"? ~ Well, yes of course, lots of phemonema is outside of human perception and it really exists. High sound frequencies that your dog can hear but you can't - they still exist even if they are beyond human perception. I disagree with Joseph, btw.... if a tree falls in the forest but there is nobody there to hear it, did it make a sound? My reply is yes, of course it did! First off, define "nobody". If one squirrel or one bird or one insect with hearing was in the forest then it was heard. Humans aren't necessary for sound to occur. Secondly, what is sound? We all know what it is, scientifically, and those vibrations, created by the falling tree, exist with or without ears present to hear them. However, regardless of that, following Joseph's view - without anyone there to hear it there is no sound - then the same would hold true for planetary notes. There is no one there to hear it, dogs and squirrels included. One of the mistakes of knowledge I've encountered more than once among cosmic sound novices is the idea that if you increase the octaves of sound enough, it becomes light. This of course simply isn't true. They are two very different forms of energy and frequency does not make one into the other. I see the same thing with the idea of planetary tones. I have not heard a convincing argument that explains how planet motion is or becomes sound. Yes, it can be interesting to me to see the mirroring of relationships between planet movements and musical note relationships. But this mirroring, as with light/sound, does not make one into the other. Just yesterday I saved a customer from paying $8,000 for a new singing bowl which the seller calls "ancient." Brand new bowl which I know for a fact cost the seller $500 and he's selling it for $8,000, claiming it's worth $16,000. So, there are real people on the other side of these questions. And a lot of them are really getting ripped off. Those of us who are responsible professionals are tired of picking up the pieces. That was my main motivation writing The Singing Bowl Book, which teaches people how to tell new bowls from real antiques. So, when someone says something like, "Mars is slower than Earth and therefore the lower pitch in the interval." I have to say, "No - it's not. Mars is not a singing bowl. It's a planet." If a piano can produce hundreds of distinct frequencies, how many frequencies do you think a planet can produce? The planet tone idea is simplistic, false and juvenile. Frankly, it's kind of a dumb idea to think a planet can be reduced to a single musical tone. It's the same dumb idea that makes people think chakras vibrate at a single tone. This whole notion of correlating / distilling / defining life processes according to musical notes is incorrect. Life is not some how encapsulated in the C major scale. These ideas were invented 20 years ago to sell singing bowls. It's marketing BS, pure and simple. I know the people who invented these scams and they're the most dishonest people I've ever met. To clarify and wrap it up with the tree in the forest and Rich's comments: I break things down a bit more and say sound is not the same as vibration. The event of a planet moving, a tree falling or a heart beating is not sound. It is movement. Vibration is not sound. Vibration is movement. Sound occurs in the mind of the listener. We detect vibrations through feeling receptors, which feel the vibrations of our own bones and tissues. These vibrations are translated in the brain to what we perceive as sound. The actual event is movement. The translated / perceived / experienced result becomes sound. So we are really only hearing the mind's interpretation of our own movements. If you really want to talk about what is happening in the cosmos, it's movement. At the heart of every process in the universe is movement. At the very smallest observable level of reality, as small as science is able to look, they see a tiny vibration - movement. Planets move. Matter moves. Particles move. We move. Most people think of vibration as sound, but really it's movement. Sound is our invention. We don't hear sound - we detect the movement of our hearing mechanisms and create sound. What we detect is only a small amount of what is actually happening in and around us. Some of it is translated into sound. We also invent sounds, creating sounds to fill in the vibrations we detect. So, if a tree falls: Falling - yes. Movement - yes. Vibration - yes. Sound - could be, if there is someone to interpret the movement, squirrel, person or other. I hear you Himalayan Bowls, I also would prefer people to not think in such simplistic terms. Because everything is vibration, it is important to realize that distilling the essences from an object doesn't always lead to more efficacy. In fact, most reductionist medicines or even foods can actually be less effective or worse for your health than holistic/whole sources right? It just depends. An easy example is the difference between Marinol (the synthetic version of THC) vs. Full-Spectrum Cannabis Oil. Marinol's effectiveness wears off after a short time, and Cannabis Oil maintains its effectiveness. But that patent though!! woo! I can tell that your position is driven by your business too, however. Because what the hell are you going to do with handmade instruments that aren't in perfect alignment with someones chakras or astrology chart? It's totally bogus. Because any sound can be used for Sound Healing purposes if utilized in the right way! However, maybe you should consider raising your prices on bowls/instruments with specific tunings, not because you are a capitalist pos, but because you should draw the attention of your customers toward the benefit of both specific frequencies and non-specific frequencies. Non-specific frequencies can help to move the body out of a comfort zone that might otherwise make it hard for healing to even begin. On the other hand, specific frequencies are that comfort zone that people want for relaxation. I personally like to offer both standard and non-standard sounds to the body and spirit of my clients in order to be challenging at times, and relaxing at others. Since the demand for specific frequencies and tuned sets is high, I think it is absolutely important as a business person to offer what people are looking for. 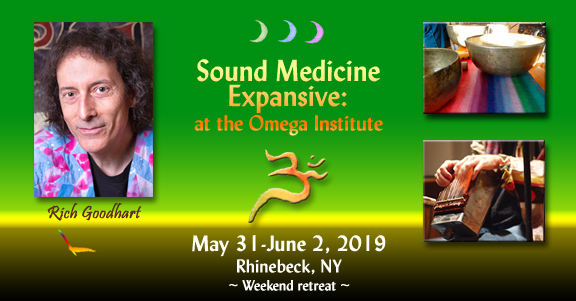 But at the same time, leveling with people about the reality of sound and how non-specific frequencies may have better properties for sound healing is really important. Plus your time is valuable with regards to collecting sets or pairs of instruments that sound good together. So I think that you are worth more when it comes to the process of splitting hairs for picky customers, don't you? And really, it's the imperfections that make life more interesting and even beautiful, so within a certain percentage of error, intervals can still sound incredibly beautiful when played by the masterful. Somewhere between perfect and 2% off with regards to intervals can usually still sound great. But within 0.5% is where I generally consider things to be intonated with regards to "just" temperament. I totally agree with you Rich, that light, sound, planetary motion, weather patterns, are different levels and kinds of energy. They do not convert into each other. I am glad you brought it up though, because to me waves are still waves. And as of now on my journey, I am deep in the study of their similarities. Consider an ocean, or a human body. Same difference right? Even mountains and land masses have a frequency. Though they are not sound, they most assuredly influence with their frequency. That's like earthquakes vs. continental drift yeah? What about the moods or emotions of musical relationships? Is that too fantastic to speak of? The 7th Harmonic in music and geometry is an expansive/explosive form. It also has a reaching quality as it is almost an octave. Using this quality in musical, visual or architectural form is very evocative. And when we consider the mythology regarding Ares/Mars we can see both the God of Fertility and War when we ponder the qualities of the 2nd and 7th intervals. I know, I know, we're not supposed to talk about this stuff. But the deep psychological ties that we have to our mythology most likely comes from this kind of inferred story telling. Some of the greatest works of art involve sound and story being intertwined. Perhaps this is why the 432 movement is so popular? It seems to trigger that human experience of combining sound with story, science with imagination, structure with creativity! Speaking of "Creative Story-Telling" isn't our ability to believe in something because it fits our personal narrative amazing? For instance, the "placebo effect" is so well-documented at this point, that perhaps the best medicine is the one that tricks us into thinking it is going to work like magic in exactly the way it is supposed to. How close are we to a world without placebos where everything is reduced to literal objects devoid of any special powers or properties? Is this even our goal? Or is it possible that the best medicine is actually one that unlocks our creative potential to believe in what we set our attention and intention upon? As Sound Healers, how should we approach this topic anyway? As humans? With the idea that we as a species are falling so far from a semblance of unity with nature, is it somehow possible that utilizing the frequencies of the planet and discussing them with the community will help us to all think more deeply about our relationship with each other and the universe? Ever notice how people that don't have a reverence for nature tend to also lack respect for themselves? Could this alchemy of science and myth somehow be an antidote to this issue? My viewpoint (however limited it may be) tells me it is a combination of imagination and science that makes the world go round. So finding beauty and meaning in nature and even mundane things like singing bowls or gongs seems to be a human condition, and not necessarily a bad one. Nothing is too fantastic. The issue is not how wild the ideas are, it's the tendency to define things and say "sound does THIS." "This note does THIS." It's even in your last post - no I don't charge more for certain tones because those tones are arbitrary. A bowl with specific tuning is not more effective than another. What matters is the internal harmony, as discussed in another post. If a bowl sounds well in tune on it's own, then it can be in my collection. If the fundamental happens to be in tune with the musical scale, great. That in no way means it's better than another bowl that is not in tune with a particular musical tuning. Just last week someone found a perfect sounding bowl on my site that they measured 443. He was very happy to find it and it cost under $100. The bowl didn't cost me any more and another customer may prefer a bowl tuned at 449, 460 or whatever. It's subjective what a person likes and it doesn't correlate to any particular musical tuning. So, again the issue I have is too much definition - planet tones, chakra tones, musical tones - there are thousands of tones and millions of combinations of tones. When people listen to my set of 63 bowls, they are hearing more than 250 tones at the same time. After a concert, people always say they are hearing tones that aren't there. That's the tendency of the brain to complete harmonic series and create tones that aren't there. So, how many more tones are people hearing? Even if it's only 300, that's still a lot more food than 7 tones. So, forget trying to define things. You think you're going more universal but I think you're limiting yourself. What I've always said is let the bowls speak for themselves. Don't decide what is happening. Observe without defining and deciding. Quiet the intellectual searching and try to extend your powers of observation. Treat the bowls with an open hand - don't define, don't decide. Keep open to the possibilities and you will be surprised how much more variable and amazing your work will become. "Since the demand for specific frequencies and tuned sets is high, I think it is absolutely important as a business person to offer what people are looking for." This is a pretty good distillation of much of what is wrong about the Sound Healing Industry. Scams upon scams upon scams. When I took a Physics of Sounds course we discussed this topic, comparing it humorously to the idea of instead electing C=256hz. Our professor made a case for C=256 simply because the mathematical equations would be much less tedious using a power of 2. This topic is not dissimilar to the question of whether the frequency relationship between sound and light is important or not - at least when the argument is raised that A=432 is aligned with some kind of planetary motion or similar. The concept is similar - that two oscillations a great degree apart in terms of frequency could be related despite their distance from one another. However, it is undeniable that beautiful music can be written choosing any frequency as the fundamental pitch for the tonic. In fact, I would argue that there need be no fixed pitch for a tonic at all. I have been working on a tuning system called PureTuning which is only possible to implement with electronic synthesizers, which is quite similar to the Adaptun system of William Sethares. The idea here is to make possible transposable Just Intonation, to optimize for the greatest possible harmony between intervals, even when the key shifts. Unlike Adaptun, PureTuning works by employing an axiom that the cycle of sharps and flats could theoretically be extended infinitely in their respective directions. It would be impossible to read as sheet music, but synthesizers would not care if a key was in 11 sharps or 2500 flats. It works for synthesizers if it follows a set of rules that the synthesizer can manage within the range of parameters it can control. In other words, PureTuning works by electing any starting pitch as the "C major" or "A minor" (or any mode desired using 0 flats and sharps). Also electable is any key mapping desired (if it "feels" better to play with some black notes, no problem... for gestural interfaces this is a non issue). From this point, the tuning table is set so that all intervals away from that initial note are harmonized using the smallest whole number ratio possible. However, it is up to the musician to understand the implied harmonic rules of the system. If drifting far enough away from the base key, it is important to flag to the system a corresponding key change (i.e. using a one octave foot pedal or some special control keys on the lowest or highest octave of the keyboard). This will allow the system to dynamically adjust the tuning table, using portamento if necessary for notes that are held over from the previous key. Based on research this system is fairly similar in application to how Renaissance era or even Barbershop singers would sing together. However where it differs is that there is truly no need to think about the music in terms of fixed keys - the only thing that is important is relationships between a key and the previous. If one were to go up and down in keys in a roughly equal manner throughout a piece, one might end up at the same frequency of tonic by the end, but there is no need for this. The point of this large digression from the topic is that for someone in the mindset of this system, fixed frequencies now more than ever play second fiddle compared to the relationships between frequencies, the ratios. The ratios are all that matter. It was discovered that cycling more and more "downwards" in the flat key direction has a relaxing effect, much like a descending aircraft with its gradual downward white noise filter sweep. Cycling upward has a comparable energizing effect. Anyhow, I think the question of whether a fundamental frequency for waveform irradiation should be tuned to some other reference point will actually come into play in the future, when we are advanced enough in our knowledge that we see how it might be advantageous to irradiate ourselves with subtle frequency combinations as much as 24 hours a day for various therapeutic effects. But it may have to do more with the variability in entrainability of that individual and less to do with some constant at a planetary scale or similar. Thanks for your reply here also, though it's maybe deserving of its own thread more than being on topic for this one. Just a note, string quartets are also capable of and practice transposable Just Intonation, as well as vocal ensembles like barbershop singers etc that you mentioned. Also, yes, the argument is often raised (or the statement made) that 432 has an alignment with planetary or celestial movement, but from what I've seen, the scientific evidence says otherwise. There's a lot of "well, it's close" numbers, and those near but not quite numbers being 'adjusted' to make the argument look better. Ah yes I'd forgotten about string ensembles, indeed some of the bliss of their sound, in common with Renaissance singers, can be attributed to the dynamic tuning they use. I find the effect of harmonization is somewhat wasted with Barbershop. I think listeners had some extremely profound experience hearing Renaissance music in churches, where no doubt the fundamental pitches were aligned with the acoustic modes of the main hall in the church to achieve the most pleasant resonance possible. This was no doubt leveraged by the churches to promote the legitimacy of the religion. I have recorded a very large amount of classical music professionally so I am quite familiar with the experience one can have. Anyhow, I am again making a reference to something comparable but more believable at face value - alignment of base frequency to the acoustic modes of a given space. Just Intonation theory would indicate this is possible in any key, since any low whole number ratio interval away from the modes of a space would feel fairly harmonious compared to starting on an arbitrary pitch - you really feel the resonance or lack thereof when you perform in a space with such a high reverberation time. Finally there is the question of whether we are simply lacking a body of supportive information to begin to construct plausible hypotheses regarding which external baseline frequencies we are naturally inclined to synchronize with, and if for any of them, we suspect it may be true, then answering the question of how best to synchronize with them, and most importantly, why we are naturally inclined to do so (like a moth is inclined to travel towards the light). If it's not yet evident, the argument I am making here is that although A=432hz may be a de facto red herring, it is certainly not dissimilar to some kind of deeper truth that may be obfuscated by a pseudoscientific smoke screen of sorts. Scientists with rigorous training may worry about being marginalized when revealing their interest in a field of study that has been bandwagoned in with actual pseudoscience. Do you see the danger here? The danger is that we throw out the baby with the bathwater. Much like the argument I am making above (that people may be naturally inclined to align in some way with a potent baseline frequency for reasons they cannot explain), we may be subconsciously inclined to tend towards beliefs that are similar enough to actual truth to sway us in reasons we also cannot explain. So when a potential truth is steered in the direction of myth and pseudoscience, it is incredibly tragic because we lose sight completely of the actual truth that exists behind a barrier of amplified falsity. Coming back to the broader discussion I'm raising by using my tuning system as a reference point, if the system were used within a large hall with very poignant acoustic modes, although it would be possible to start using one of the modes as the base frequency and harmonize quite well within the space by employing a narrow range of relatively close key changes, one would not want to drift too far into the order of sharps or flats as doing so would cause the synthesizers to drift too far out of synchronization with the acoustic modes. Perhaps a similar argument can be made here, for example the case that 435hz is closer to 432 than 440, or more generally, that somewhere in the area lower than 440 lies a more natural comfort zone, and we've simply drifted too far sharp in a perfectly understandable effort of orchestras to sound more bright and energetic (and thus exciting and worth paying ticket money for) than other orchestras.